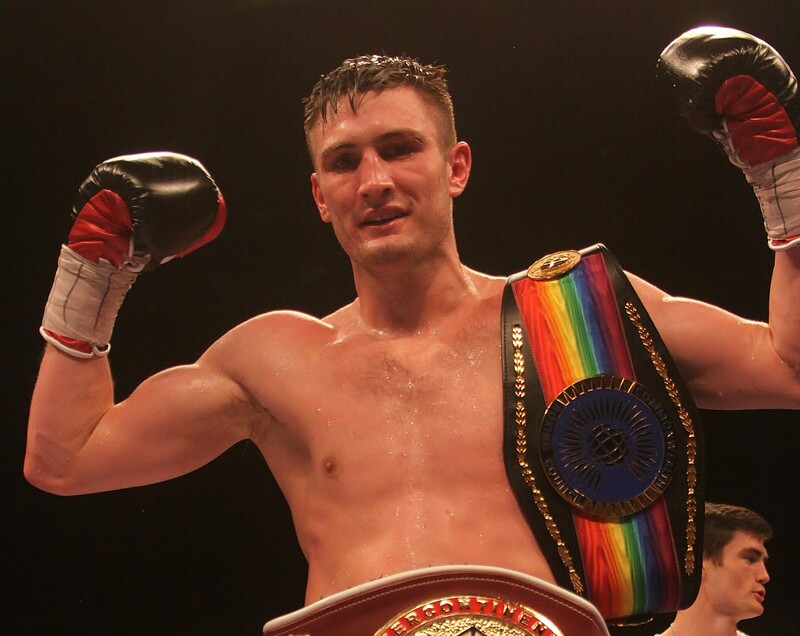 British middleweight champion Tommy Langford (18-1) has been added to the “Edge of Glory” card at the First Direct Arena in Leeds on Saturday 21st October after news that his maiden British title defence to Jack Arnfield (24-2) has been put back out to purse bids. The 28-year-old will take part in a six-round middleweight contest against an opponent yet to be confirmed. Langford was due to defend his Lonsdale belt against the mandated Arnfield but due to no date, venue or contracts being received by the British Boxing Board of Control, the Stewards decided to put the contest back out to purse bids to be submitted by October 11th with the championship fight ordered to take place before the end of January 2018. The Bideford-born boxer explained, “I was waiting for a date to defend my title but due to no contracts being received by the Board, the fight has gone back out to purse bids. “Frank [Warren] recognised that I needed to get back out soon so I’m delighted to be fighting on the undercard of Josh Warrington’s IBF eliminator. It’s always a wicked atmosphere in Leeds and hopefully my fans can add to that on the night. The former WBO Inter-Continental titlist, now ranked #11 with the WBO, predicts that his long-awaited maiden British title defence will still happen this year. It will be the first fight back for the “Baggies Bomber” since his sole career defeat to Avtandil Khurtsidze (33-2-2) last April in Leicester, which was a 12-round championship contest for the WBO interim belt. The winner was lined-up to face WBO champion Billy Joe Saunders (25-0) but instead American Willie Munroe Jr (21-3) replaced the Georgian after he was recently arrested in New York on RICO charges. Saunders defended his middleweight strap successfully by cruising to a unanimous decision win over Munroe on September 16th in London on the same night that Gennady Golovkin (37-0-1) and Saul Alvarez (49-1-2) reached a stalemate in Las Vegas with all the other world middleweight titles on the line. Langford, trained by Tom Chaney in Birmingham, is keen to get back to the world title mix – he was previously ranked as high as #2 with the World Boxing Organisation after four successful defences of his WBO Inter-Continental strap. The West Brom FC favourite has firm plan to return to the highest level after defending his Lord Lonsdale belt against Blackpool’s Arnfield. The stacked “Edge of Glory” card will feature Leeds’ favourite Josh Warrington (25-0) in the headlining bout against Dennis Ceylan (18-0-2) in a mandated final eliminator for the IBF world featherweight title. Unbeaten Leeds hero Warrington is within touching distance of forcing a dream world title showdown with bitter rival and IBF titleholder, Lee Selby (25-1). Warrington outpointed former world champion Kiko Martinez (36-8-1) to set up the final eliminator and is looking for a win against the undefeated Dane to secure a world title showdown against Selby. Although fighting for the first time on British soil as a professional, the 28-year-old former European champion, Ceylan, is no stranger to opposing British boxers having previously shared the ring with undefeated former Commonwealth champion Isaac Lowe and British champion Ryan Walsh, scoring a draw and a win, respectively. Chief support is supplied by Huddersfield’s British super-lightweight champion Tyrone Nurse (35-2-2) as he makes a highly-anticipated defence of his crown against undefeated hard-hitting Chorley man Jack Catterall (18-0). Rising Manchester star Zelfa Barrett (18-0) has a chance to win his first professional title when he takes on Chris Conwell (9-2) for the vacant English super-featherweight strap. Undefeated Liverpool super-welterweight talent J.J Metcalf (16-0) takes on Leeds native Damon Jones (15-1) in an official eliminator for the British title, currently held by stablemate Liam Williams. An action-packed undercard also features former Commonwealth Games bronze medallist and GB squad standout Sam Maxwell; Bradford welterweight Darren Tetley; Chapel-en-le-Frith Cruiserweight Jack Massey (12-0); Doncaster featherweight Reece Mould; Leeds flyweight Jack Bateson and the professional debut of Leeds fighter Jack Daniels.